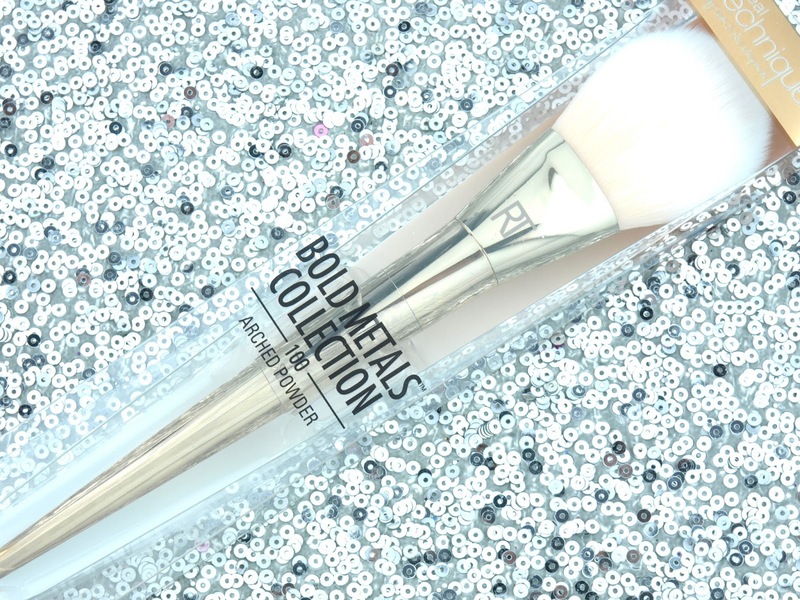 With a shiny, pale gold chrome finish, the Real Techniques Bold Metals Arched Powder Brush has a very cool and angular handle. The design feels very modern and edgy. My only critique of the packaging, though, is that the glue used to adhere the brush to the package backing got all over the handle and it was extremely difficult to remove. In the process, I ended up scratching off a large piece of the shiny finishing. The synthetic bristles feel super soft and fluffy. The 100 Arched Powder Brush has a flattened dome design with tapered bristles. The brush is quite large and wide but it still works well for blushes and highlighters. 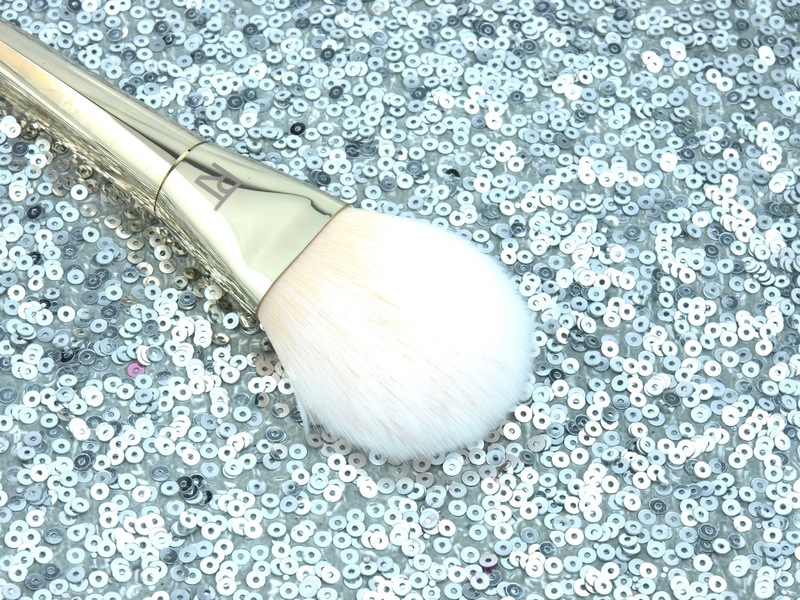 Last but not least, the brush has a weighted handle, giving it a more balanced and luxurious feel. In terms of quality, this is a great brush. However, compared to the original Real Techniques line, the brush is only noticeably superior in terms of aesthetics. If you prefer value over looks, I think the original line is a better option. Real Techniques is available online at Farleyco and in stores at London Drugs.